The first working hovercraft was invented and patented by the English inventor Christopher Cockerell (1910 - 1999) in 1956. One of the most successful inventions of the 20th century, the Hovercraft, was originally tested in 1955 using an empty KiteKat cat food tin inside a coffee tin, a vacuum cleaner and a pair of kitchen scales. 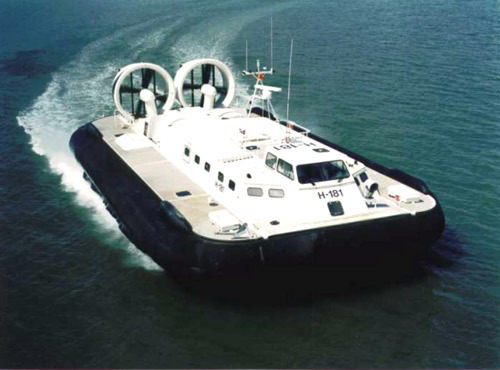 This led to the first hovercraft to be produced commercially, the SRN1. Christopher Cockerell's idea was not a new one. Many men had tried to make a working 'glidable' craft but commercial backing held them back. Cockerell's design was the first to build a vehicle that could move over the ground and water, floating on a layer of air. This would reduce friction between the surface and the vehicle. "The Admiralty said it was a plane and not a boat, the Royal Air Force said it was a boat and not a plane, the Army were plain not interested." The Cockerells were a talented family from Cambridgeshire. The sons of Sydney John Cockerell, a London coal merchant,and Alice nee Bennett, the daughter of a City watchmaker, Sir Sydney's elder brother, Theodore, was a biologist, his younger brother, Douglas, an eminent bookbinder; while Douglas's son Sydney Maurice ("Sandy"), two years Christopher's senior and also a bookbinder, was a celebrated and innovative designer of marbled papers. Despite an interest in the arts, Christopher read Engineering at Peterhouse, Cambridge. After Cambridge he worked for the Radio Research company until 1935 and then for the Marconi Wireless Telegraph company from 1935 until 1951. During the war years Cockerell worked with an elite team at Marconi to develop RADAR, a development which Churchill believed had a significant effect on the outcome of the Second World War, and Cockerell believed to be one of his greatest achievements. Whilst at Marconi Cockerell patented 36 of his ideas, for which he was paid just £10 each. Cockerell left Marconi in 1950, and with a legacy left by his beloved wife Margaret's father, he and Margaret were able to purchase a small boatyard in Norfolk. This never seemed to make money and Cockerell's mind turned back to earlier ideas. He decided to use larger models on water. Initial experiments convinced Cockerell that boats could be made to float on a cushion of air, thus reducing the effect of the water drag. After many trials he successfully designed a craft which proved his ideas were correct. He was not surprised. The modified punt he used had a special pump to blow high pressure air down under and around the rim of the craft. A strong rubber curtain regained most of the air, hence creating lift. 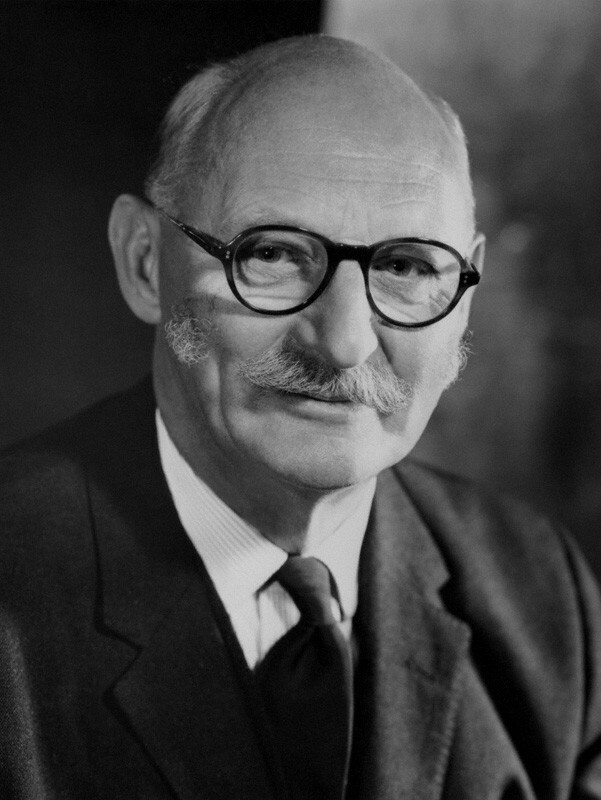 Cockerell had set up a company, Ripplecraft, to develop his ideas further and in 1955 he eventually convinced the Ministry of Supply to back his project. He had a hard time trying to convince the military: the Admiralty said it was a plane not a boat; the RAF said it was a boat not a plane; and the Army were "plain not interested". The irony is that it has been the Marines who have taken the hovercraft most seriously, with over 100 giant craft now in use in America and 250 in the Soviet Union, many used in recent conflicts. In these early days Cockerell's idea was patented and immediately put on the secret list. Nothing happened and Cockerell became increasingly agitated. 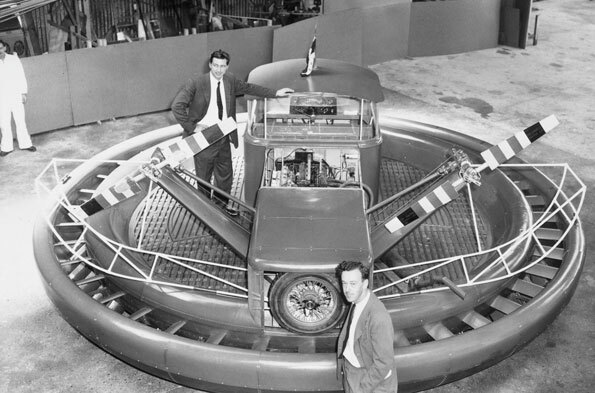 Eventually, in 1958, after declassification, the National Research Development Council (NRDC) funded the design and construction of SRN1 - the world's first man-carrying amphibious hovercraft. Saunders Roe, the flying boat firm at Cowes on the Isle of Wight, were given the contract, and the firm, under Cockerell's guidance, worked avidly on the 20ft craft dubbed the "flying saucer".